Successfully Added Single Din Car Audio CD + MP3 Player - 40W Sound to your Shopping Cart. 1 din in dash car audio CD and MP3/WMA player with super 40W x 4 output for serious fun while driving. 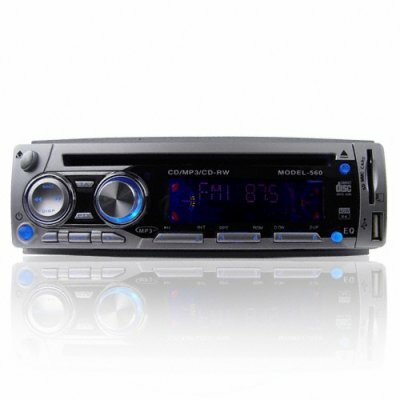 With such excellent features as both Audio IN and Audio OUT, a USB port and SD/MMC card reader for direct playing of digital music without the need of a CD, RDS radio reception (not available in the USA), and even a detachable front panel for safe storage and security, this is a car audio system that will never disappoint. Buy a single order for personal use or buy in bulk for even bigger discounts..